This leading looseleaf provides an authoritative, pragmatic and accessible guide to the taxation treatment of interest and debt finance for both individuals and companies. Taking you back to 1799, it explains how the law and accounting practice in this field have developed, helping you to understand both current practice and the policy rationale which will drive future developments. 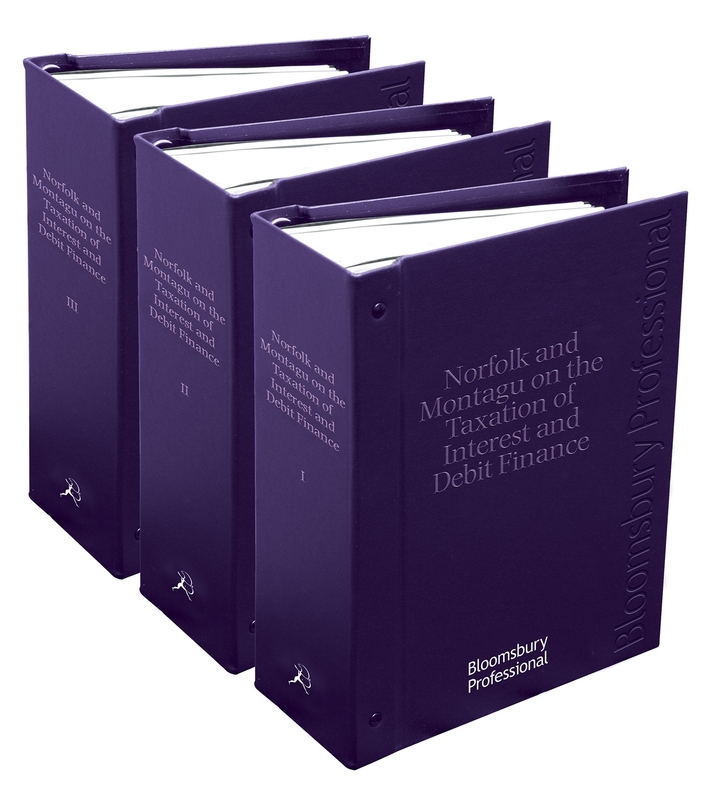 Continually reviewed to ensure that the content is accessible and up to date, the text was restructured in 2012 and a second volume was added in July 2014 to accommodate significant recent expansions, such as the addition of a chapter on the taxation treatment of banks. What have recent issues covered? The most recent issue offered expert commentary on the EU Savings Directive 2014, relevant measures in the Finance Bill and the HMRC April 2014 Technical Note on reforming the loan relationship rules. What will forthcoming issues cover? Issue 33 completes a restructuring of the text which has involved splitting out commentary on applying statutory “deeming” provisions, purpose tests and the meaning of “payment” into a new Chapter 15. Restructuring the borrowings of a group of companies. Understanding the approach taken by the courts to “deeming” provisions and “purpose” tests.